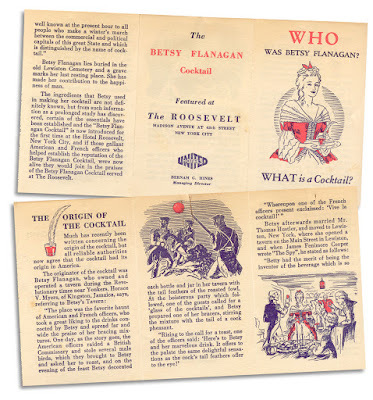 Advertising pamphlet describing "The Betsy Flanagan Cocktail" featured at The Roosevelt in New York. Found in "The Prairie" by James Fenimore Cooper. Published by Lovell & Coryell, circa 1900.
and as we all remember, knowing is half the battle. 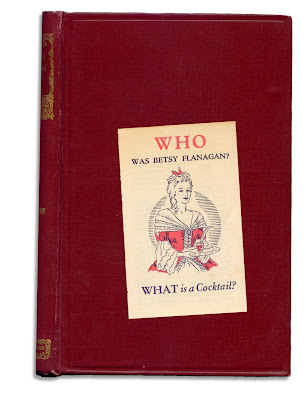 Appropriately enough, Cooper's book "The Spy" was where the Betsy Flanagan story first hit print in 1821.
no way. that is something.